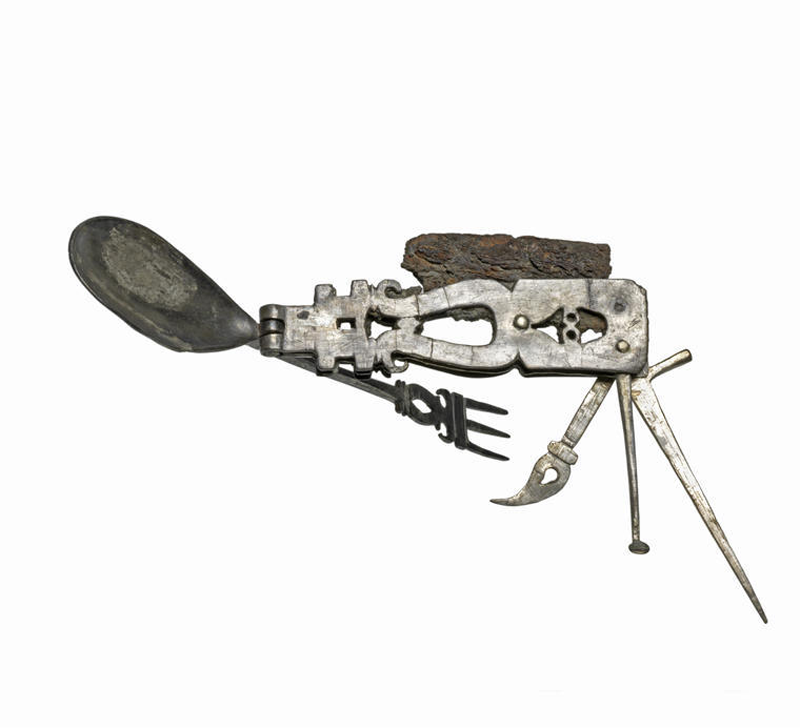 If you think the Swiss invented the concept of the multi-functional tool, you are wrong. 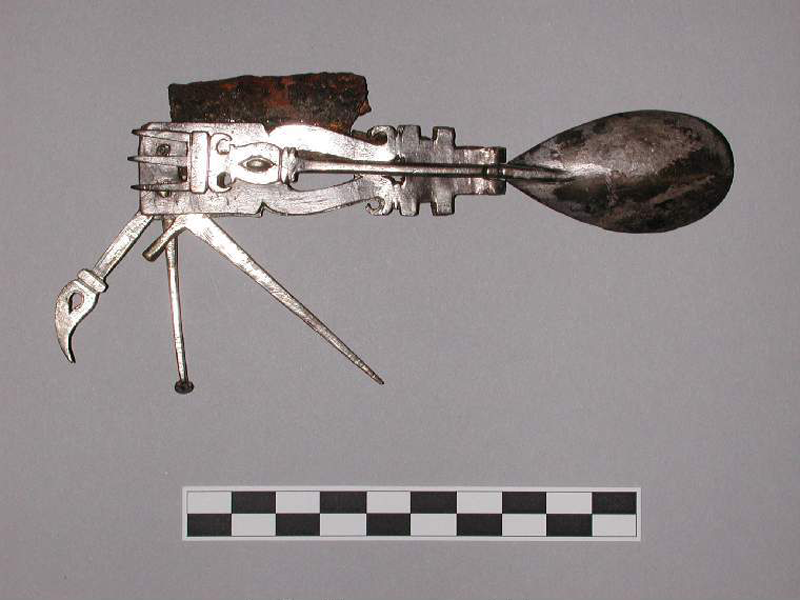 Over 1800 years ago, the Romans already had some pretty well designed tools with more than one purpose. 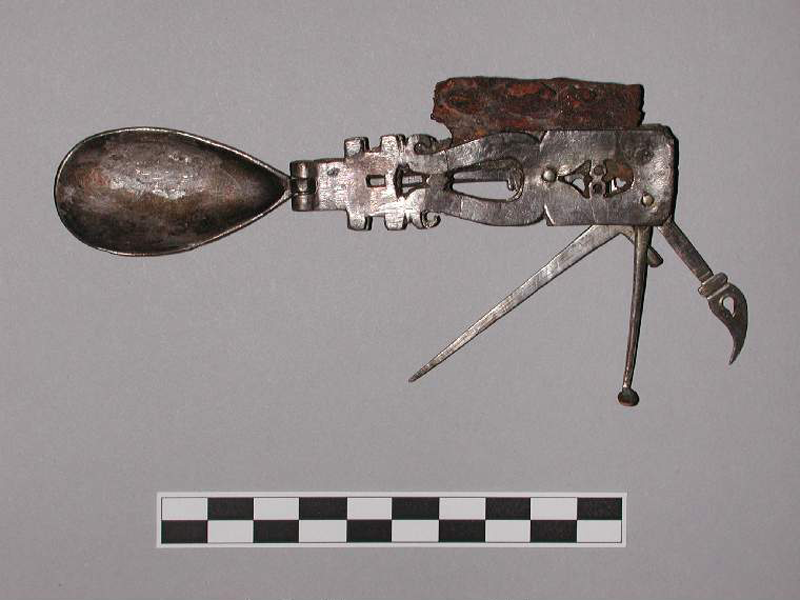 This ustensil was used by Romans to eat and included fork, spatula, pick, spike and knife. It can bee seen at The Fitzwilliam Museum.